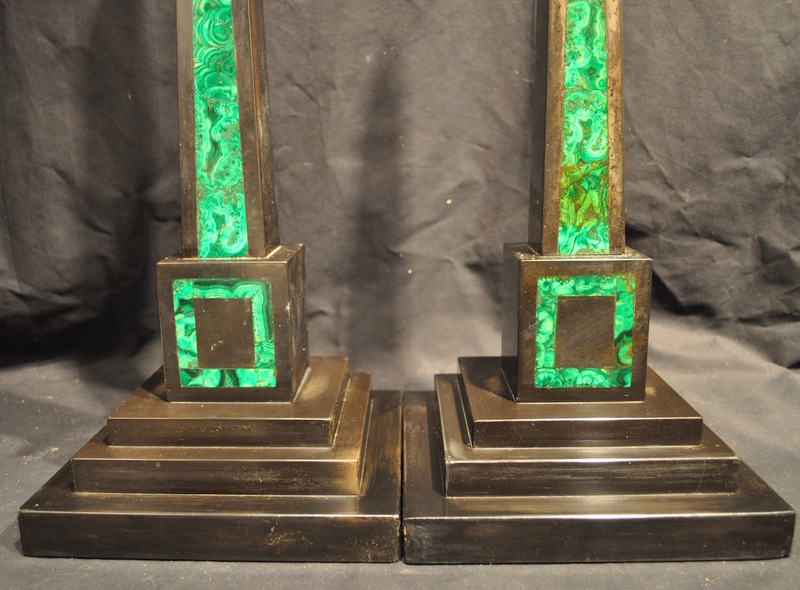 Very striking and unusual pair of antique Italian Grand Tour green malachite inset and black stone obelisks on triple stepped base. Form is slender and tapering. Believed to be 19th century. Impressive and highly decorative. 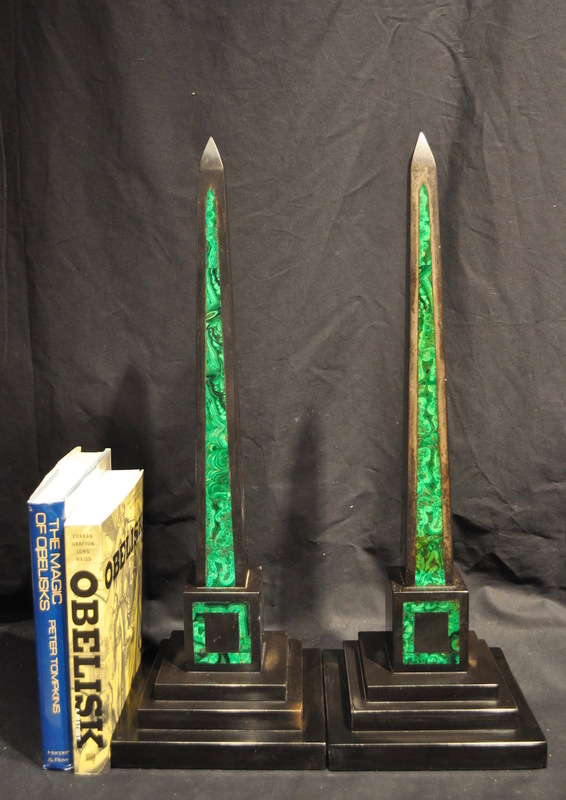 23 ½ inches tall. Base 8 inches square. Overall condition is very good. There is some discoloration to the stone, which is typical of an antique of this type. There are nicks and small chip repairs on both, particularly at corners. 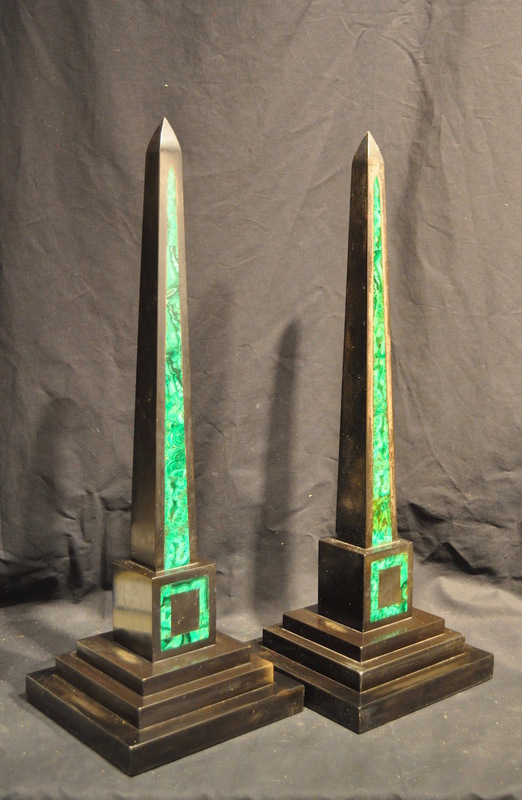 This is expected for obelisks of this age, and is generally not noticeable in a decorative setting. We are happy to provide more detailed photos on request.